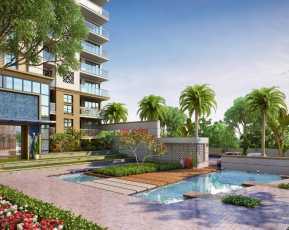 A renowned builder in Chandigarh has launched a premium residential complex called The Hermitage Park. 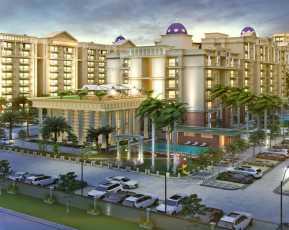 The project is located in Zirakpur, Chandigarh. 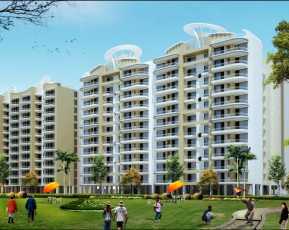 The Hermitage Park Zirakpur, Chandigarh township is spread over a vast area of land. The complex consists of beautifully crafted 2, 3, and 4 BHK apartments spanning over 1275 sq. ft. to 1945 sq. ft. in areas. 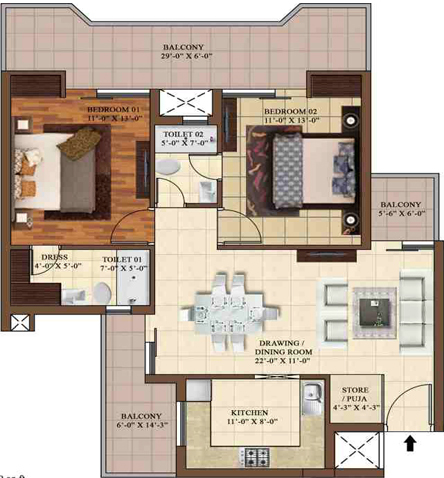 The layouts have been planned well with smartly done interiors. The apartments are spacious with large windows and wide balconies ensuring ample natural sunlight and proper ventilation. Vitrified tile flooring has been done in all rooms. Each apartment has a modern kitchen with granite top and stainless steel sink. Premium quality CP fittings and branded sanitary ware has been used throughout. Flooring has been done with premium vitrified tiles. The complex consists of one service lift and one regular lift. The complex boasts of amazing external amenities to make our lives comfortable. There is a gymnasium with all modern equipments, swimming pool, a clubhouse, and a separate kids’ play area for kids. The complex has numerous security personnel round the clock to ensure safety of its residents. There is a provision for 24 hour water supply and power backup. The other highlights include a meditation centre, sports facility, open spaces, food court, convenience stores, and a multipurpose hall. There is a tennis court for sports enthusiasts as well. The entire building is earthquake resistant as per the RCC framed structure. The location is simply amazing. The project is uniquely positioned which makes it easy to connect with major destinations in the city. All basic amenities are within the vicinity. Starting at Rs. 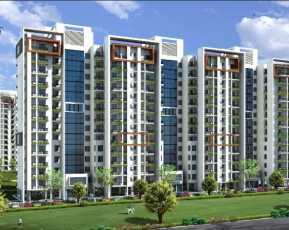 44 lakhs, the Hermitage Park price goes upto Rs. 66 lakhs. There are several friendly payment plans as well to facilitate your purchase of an apartment. All in all, this township provides you with all the amenities of a modern living. The Hermitage Park is undoubtedly an interesting opportunity to own your dream house. So act fast and become a part of this amazing township.